Twitter is one of the best social media platforms you can use to easily drive traffic to your website. As a social media manager have tried many social media sites and I can see that twitter is the best free place to get traffic. If you are trying to do something testing you need to try Twitter. Facebook convert very well if you use facebook ads but twitter and Linkedln will convert well for free start. Last week. I check where my website traffic is coming from, and I noticed that the traffics am getting from social media 90% is coming from Linkedln and Twitter and am very active on facebook than Twitter and Linkedln. It was then I knew that I need to increase my feasibility on twitter and Linkedln instead of wasting my time on facebook. The only thing I will focus on facebook is facebook ads. Why Do You Think Twitter is good For My Business? platform; they reach people fast with their 140 character tweet. When you join the Twitter verse, you engage in the conversation about technological changes in your field and advances in your company’s progress. By simply follow the accounts of industry leaders and reply to their tweets, this will give you more popularity and people will notice you. Twitter also gives you the unique opportunity to talk directly to your clients and potential customers. Instead of complaining to or questioning a remote customer service representative, tweeters can go straight to the source. If customers add your company’s username also known as your handle to the tweet, you receive a notification and you can view the comment. Use these instances as an opportunity to reach out and establish a reputation for civility and quality customer service. Twitter is an important social listening tool. You need to make use of twitter. For example, some month ago, I wanted to buy a course and the author of this course is new, I may someone I don’t know before. I have to search for him on social media to see what people are saying about him, I was able to know the person customer review on twitter. I saw what people are saying about him, check his tweet and see the replied. Thank God for Jack Dorsey, Biz Stone, and Evan Williams. If they don’t create Twitter I may not be able to find that information. Twitter is easily accessible on your mobile phone. Twitter began as a text-messaging centered service, all of Twitter’s content displays perfectly on a mobile device or tablet. Users have apparently recognized this trait, because 80% of users access Twitter from their mobile devices, they don’t need to load their computer before they ask any question or give review for your products. There are many benefits that you can get on twitter. And you can use twitter for anything. If Trump can use Twitter to win Election, that what is stopping you in using twitter to reach your targeted audience especially when you can use it for free. Hope am able to deep into what you want when you stumble on this topic? If not, then make use of the comment box bellow to ask your question and I will be happy to answer you. And if you get what you want, please help share this article on social media, who knows, you might help someone who have been looking for this type of write up. Your comment will encourage me to write more and it will help me to come with unique topic that will answer everything on your mind. If you enjoy it, drop your comment bellow. twitter is a best platform for promoting your business, thanks for sharing this information. You welcome Vinay, am Glad you enjoy the article. 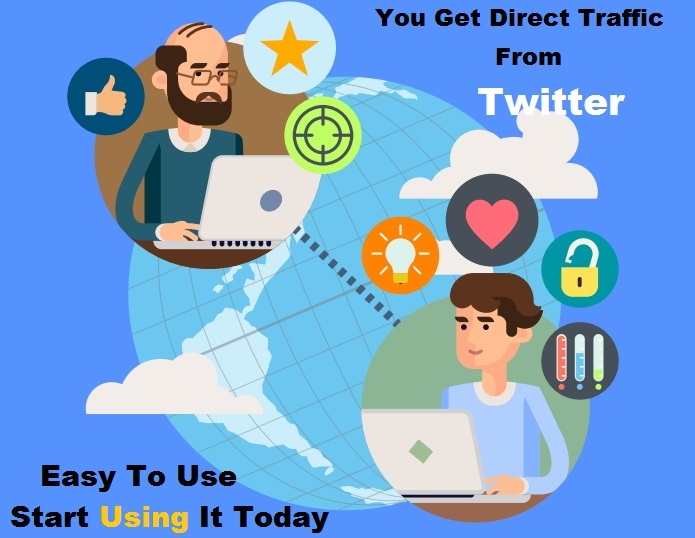 Twitter can easily drive real traffic to any site if you use it well. Our Company just start using Twitter and we find it difficult to get more followers. Do you think advertisement will help our Twitter account to grow? Keep updating your Audience with useful information, not everything is about selling, with that you will be able to attract more people that will retweet and like your tweet. 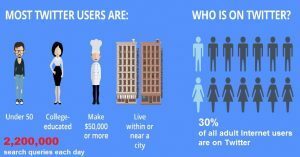 You can also advertise on twitter to reach more people. do not bother about those errors bro… there are people who are not aware of enlisted blogs.. we should be happy for his efforts to list the best in the circle.. thanks to the author …you rock man..
Aw, this was a very nice post. In thought I would like to put in writing like this moreover ?taking time and actual effort to make a very good article?however what can I say?I procrastinate alot and by no means seem to get one thing done. I’m typically to running a blog and i really admire your content. The article has really peaks my interest. I’m going to bookmark your web site and maintain checking for new information.